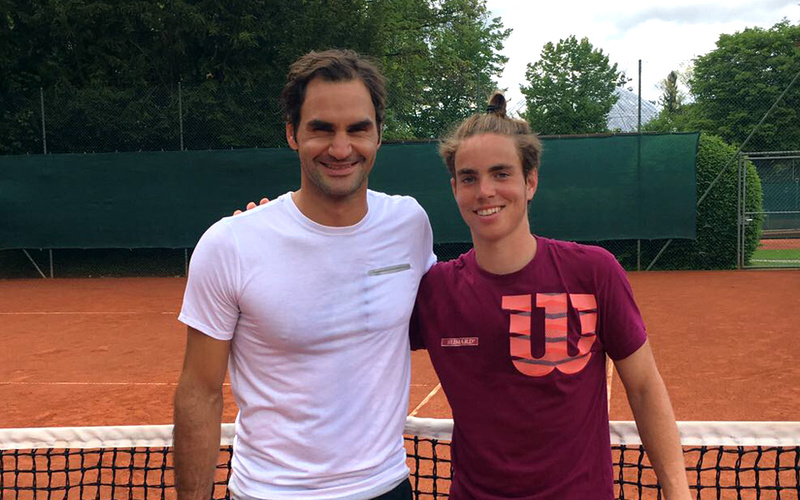 Mirko Martinez trained with Roger Federer! Beginning of May, Mirko – actualy 25th Swiss tennis player – done a training session with the French player Gilles Simon. 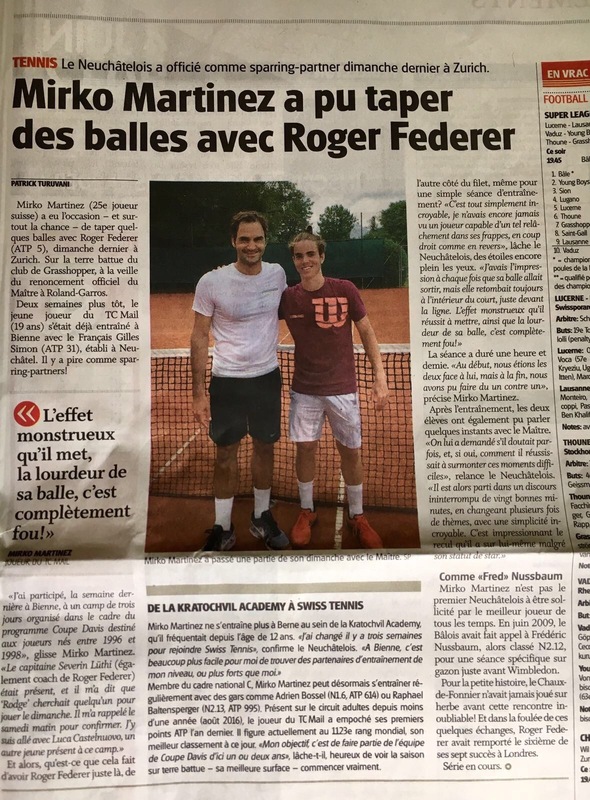 Mid-May he had the opportunity to realize a training session with Roger Federer! More details can be found in the Arcinfo article. We are proud and support since its beginnings Mirko, a talented and promising player who does not seem to want to stop there!